The English author passed away on Christmas Eve, his family reports. “My heart has joined the Thousand, for my friend stopped running today.” So wrote Richard Adams, who has died at 96, in “Watership Down.” The news, which comes from the English novelist’s family, places Adams on a long list of writers, musicians, actors and other artists who have passed away this year; though he lived a longer life than many of those figures, Adams’ passing marks another loss for the creative community. “Richard’s much-loved family announce with sadness that their dear father, grandfather, and great-grandfather passed away peacefully at 10pm on Christmas Eve,” reads a statement posted to a website devoted to “Watership Down.” About a group of talking rabbits who flee their warren when man’s encroachment threatens their survival, the 1972 novel has long been noted as an especially dark, violent children’s book — so much so that the term hardly seems accurate. The same is true of its animated film adaptation, which arrived six years later and features a number of graphic death scenes. Adams followed his debut (and still best-known) book with several others, most notably “The Plague Dogs.” A sort of spiritual successor to “Watership Down,” it was likewise adapted for screen by director Martin Rosen; that movie is just as disturbing, if not more so. Born on May 9, 1920, Adams studied history at Oxford before having his academic pursuits interrupted by World War II. After serving in the British Army for six years, he completed his degree and went on to join the British Civil Service. 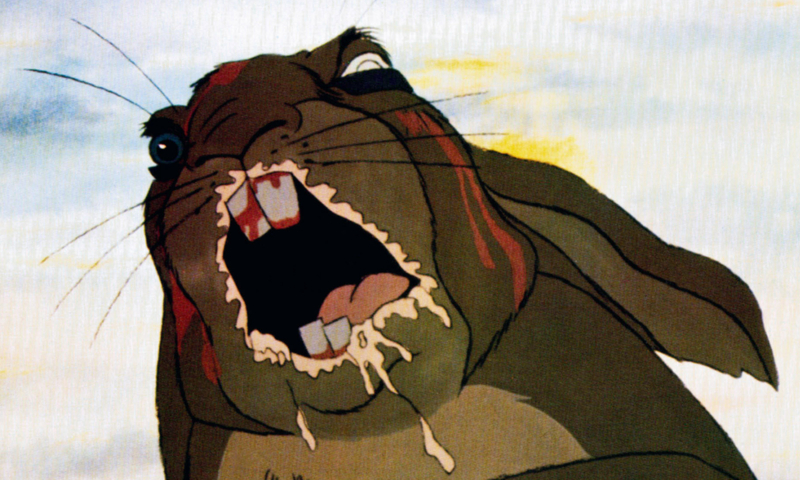 “Watership Down,” which is set to be adapted as a miniseries by BBC, was originally a story he told to his daughters during a long car ride — a fittingly humble beginning for a simple story whose power lies in its telling.